Secondary brain cancer. 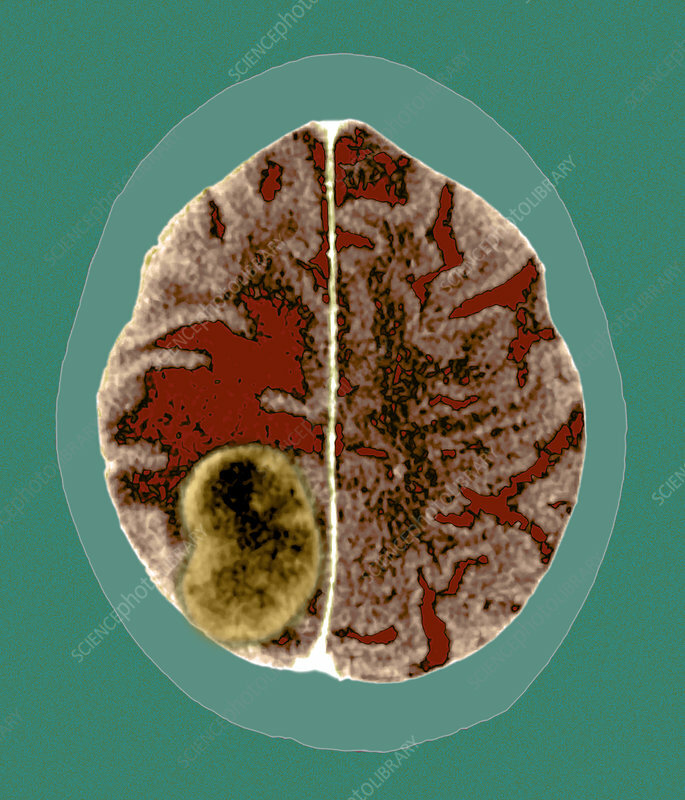 Coloured computed tomography (CT) scan passing horizontally (axially) through the head of a patient with brain cancer (round, lower left). The front of the head is at top. This cancer spread (metastasized) from a carcinoma in a lung. Cancer metastasis to the brain is often fatal.